Sony 12th time Hacked : Database of Application Store at Sony Europe Leaked ! Okay ! The Idahc - Lebanese hacker is back to hit Sony. This time he claim to hack the Database of Application Store at Sony Europe http://apps.pro.sony.eu/. A new day, A new surprise for Sony ! Yesterday, Sony Pictures hacked and Database Leaked by LulzSec . Last time Sony Ericsson Got Hacked by Idahc - Lebanese hacker , Read Here. 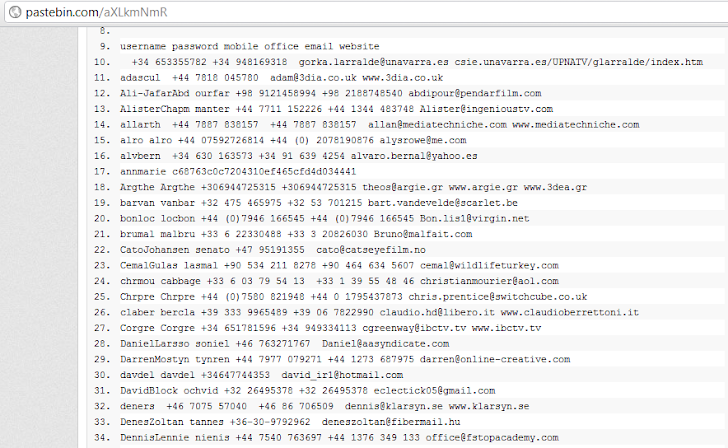 The data extracted by hacker have 120 users data , as posted on a public text sharing site Pastebin.com .